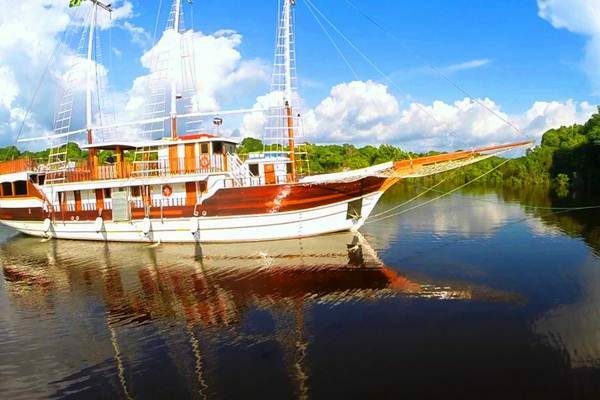 This tour will take you along some of the Imperial Cities of Brazil, which are also famous for their delicious cuisine. Discover these well-preserved colonial towns, where you will feel as though you’ve stepped into an old movie! 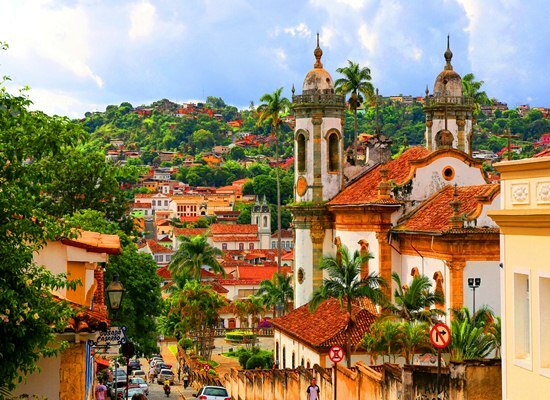 Taste some of the finest recipes of Minas Gerais, like feijoada, pão de queijo and brigadeiro, and participate in a cooking class in the Marvellous City. The areas covered on this tour, showcase towns, cities and a wealth of history and art. Today you will land in Belo Horizonte, the capital of Minas Gerais. 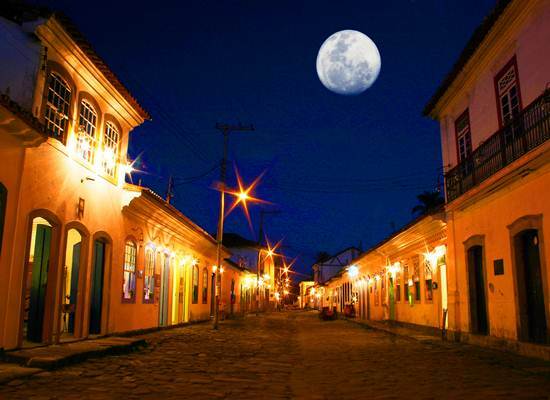 You will be met on arrival and transferred to Ouro Preto. Founded in the early 18th century, the city is a masterpiece of baroque architecture. 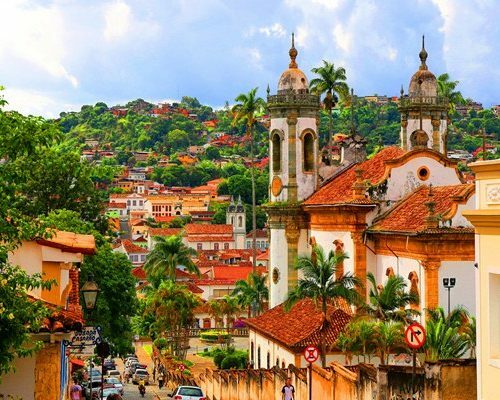 Nestled amongst lush green hills, Ouro Preto is a cultural gem where you will step back in time. 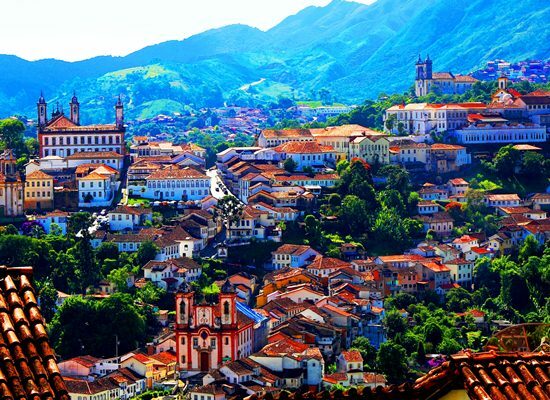 Cultural, popular and religious events, are also a big reason for visiting Ouro Preto. Spend the afternoon at leisure. After breakfast visit the centre with its interesting museums and churches, such as the Mineralogy Museum and Church de Rosario. In the afternoon, take a trip to the nearby city of Mariana. 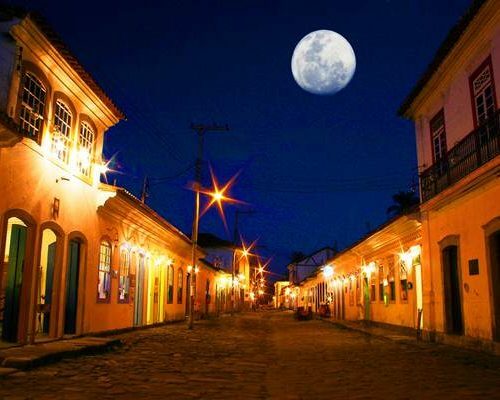 Treat yourself to fine dining at some of the best local restaurants, as the gastronomy of Minas Gerais plays an important role in the Brazilian cuisine. After breakfast continue onto Tiradentes, passing through Congonhas. In Congonhas visit Basílica Bom Jesus de Matosinhos and Passos Chapel. 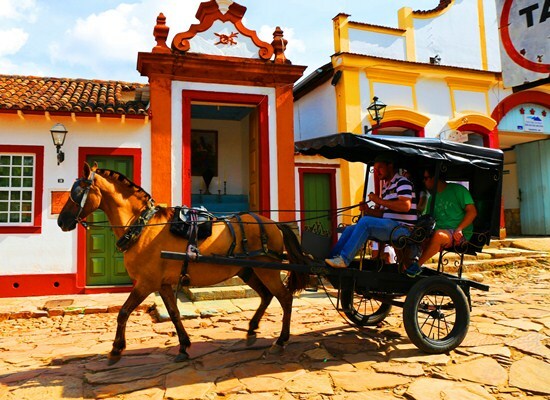 Tiradentes – one of the smallest and best preserved cities in the historical circuit – is an alluring town offering comfort, sophistication and style. 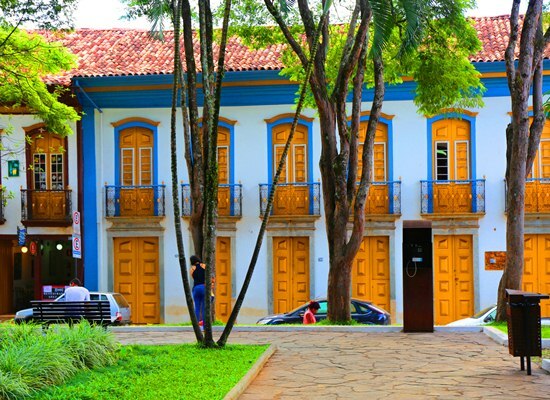 Visit the main historical spots of the city: Chafariz de São José, Museu de Arte Sacra, Padre Toledo’s house and the Church Matriz de Santo Antônio. Today take a fantastic train ride on the Maria Fumaça Train, up to São João del Rei (Friday-Sunday only). After lunch visit the main historical spots: Igreja de São Francisco de Assis, the cathedral Nostra Senhora do Pilar, the historical centre and The Railway Museum. 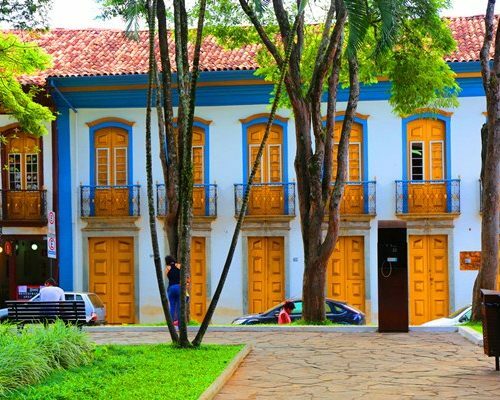 In the evening return to Tiradentes and enjoy an afternoon tea and free time to walk around the neighbourhood and indulge in a spot of shopping. After an early breakfast head south, stopping to overnight at Reserva do Ibitipoca. 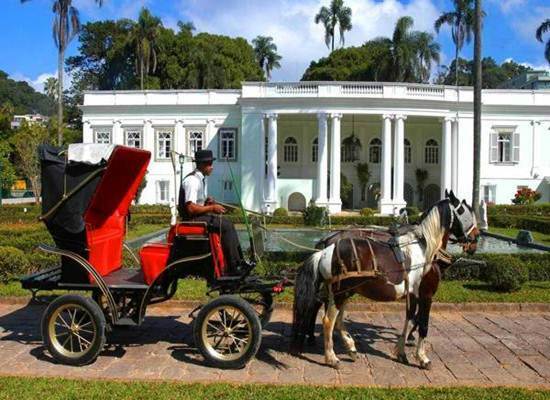 You will visit a beautiful colonial farm which reflects the atmosphere of historic times. The drive is around 3.5 hours and passes through a very scenic route. 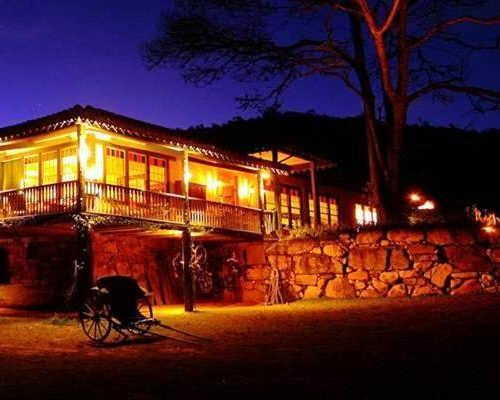 It is one of the best preserved historic farmhouses in Minas Gerais, dating from 1715, surrounded by untouched countryside, with a very intimate atmosphere and great outdoor activities (including horse riding). 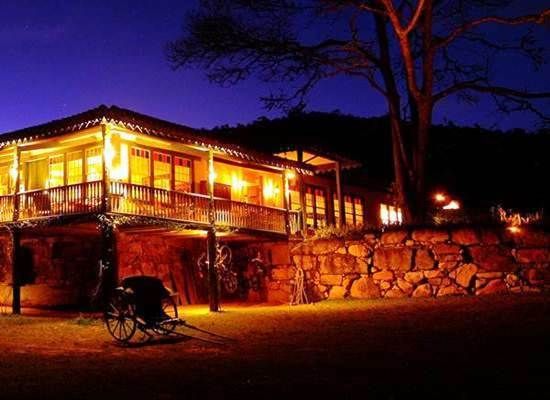 Start this day with an early breakfast and depart on a beautiful drive towards Petrópolis, the Imperial City. 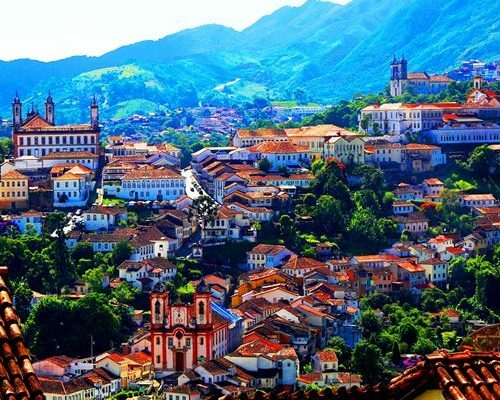 Nestled amongst lush green mountains covered by the Atlantic rainforest, Petropolis offers fresh air and milder temperatures, which is a welcome change from the hot tropical climate of the area. Here visit the Imperial Museum and the Cathedral. After lunch visit the Crystal Palace. 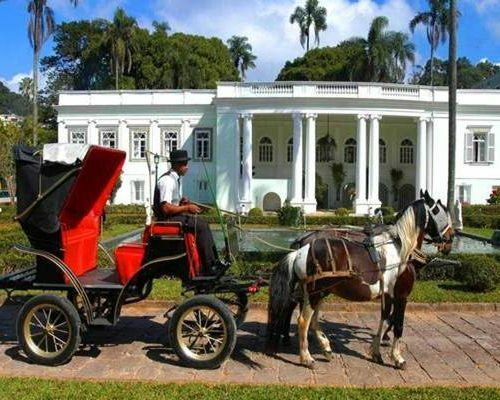 After breakfast your driver will take you by land to Rio de Janeiro, another stop on the Imperial Circuit. Spend the afternoon at leisure on one of the many beaches around the city. 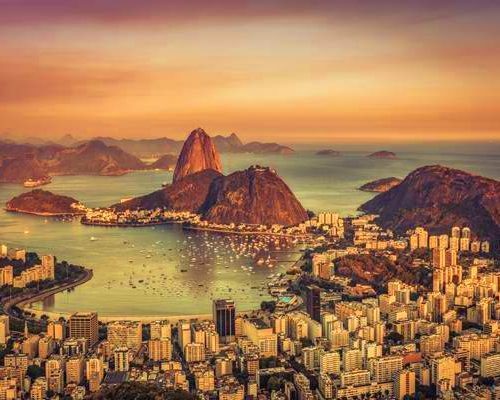 Wherever you go in Rio, you’ll enjoy a wonderful view– it has been blessed with an unrivalled landscape of beaches and mountains covered by rainforest. A good idea is to head out to Pedra do Arpoador to watch the sunset. 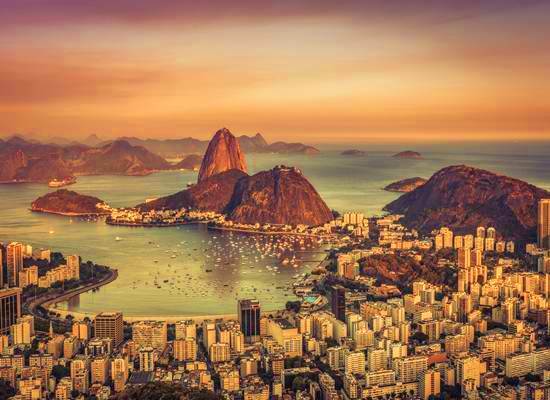 After breakfast your guide will take you to the city centre, the oldest part of Rio for a walking tour, familiarising you with the legends and stories woven around the narrow streets of the downtown, and taking you to the main colonial sites – as Rio used to be the capital of Brazil. In the afternoon experience a Brazilian food and caipirinha cooking class, led by an experienced chef. 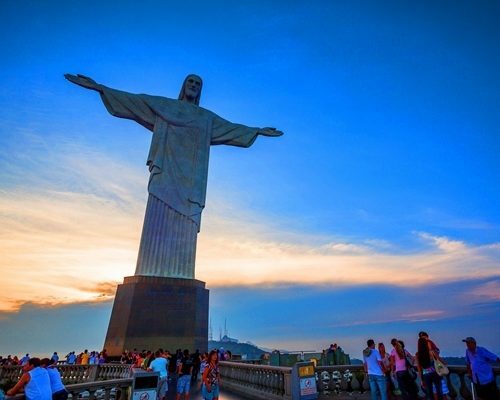 After breakfast, your guide will take you on a tour to Corcovado and the Sugar Loaf – two iconic sites of Rio. 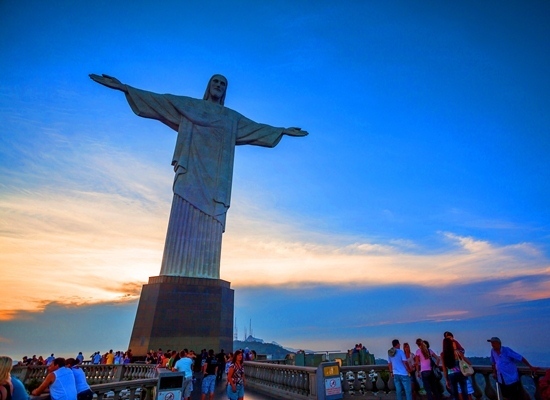 This tour starts with a visit to Christ Statue at Corcovado Mountain taking the cog train through the lush rainforest. 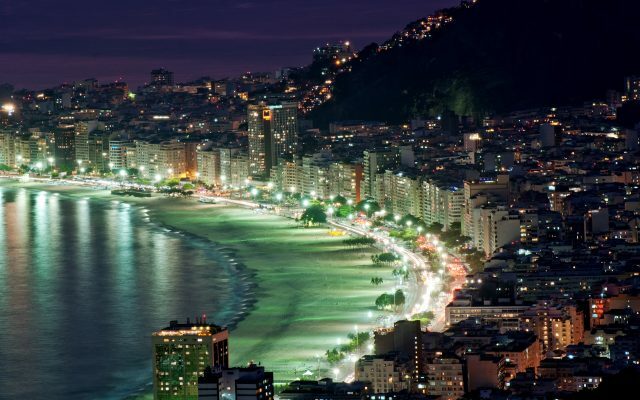 Once at the top, enjoy the spectacular views over Rio and its surroundings. 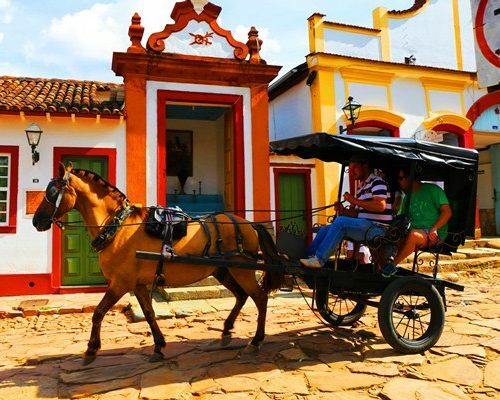 In the afternoon, take a cable car ride to the Sugar Loaf Mountains. Admire the magical sight of the sun going down over Copacabana beach. 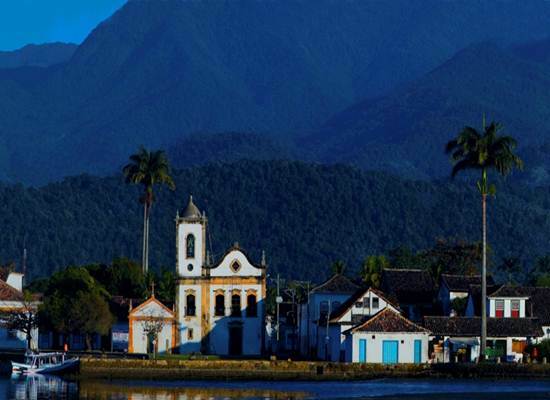 After breakfast continue to Paraty, a lovely 17th century town perfectly preserved due to a long period of isolation. Paraty boomed during the sugar cane trade as a port. It became the centre of the Brazilian sugar cane rum – cachaça. The winding, narrow streets paved with giant cobblestones were designed to protect the town from pirate raids. 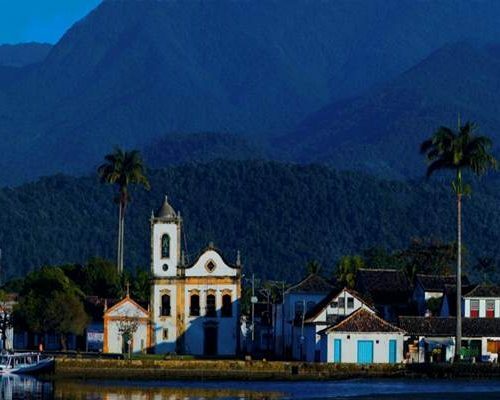 Driving is banned here, which makes Paraty a perfect walking destination. After breakfast adjust your day according to your flight schedule (from São Paulo or Rio). We will take care of all the transfers. 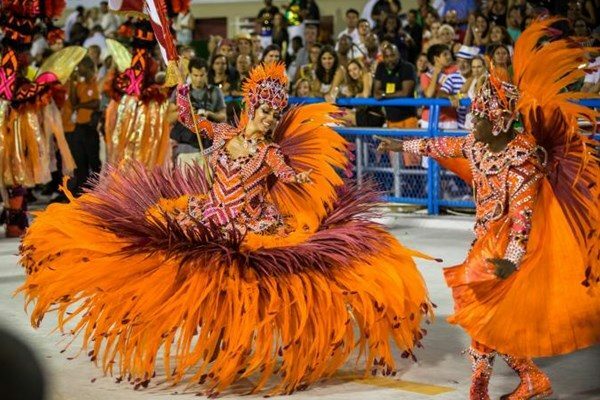 You may choose to do this trip the other way around or as a circuit starting and finishing in Rio or São Paulo – it might work well with international connections. It is never a bad idea to stop a couple of more days here and there, as there are many things to see. 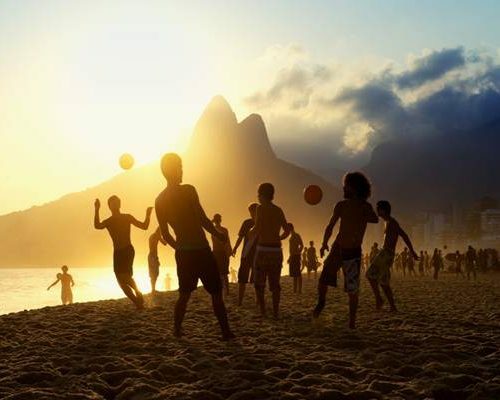 On the other hand, doing nothing and enjoying the atmosphere is always great in this part of Brazil! The flights are not included. You can get flights from as little as £800 per person return (depending on the connections and routing) and do ask us for advice. Alternatively we can book the flights for you but a booking fee may apply. All prices are correct at the time of writing. Give us a call or email us at brazil@fleewinter.com to discuss your requirements and get a confirmed price. Please remember this is a sample itinerary and we are happy to tailor it to suit your plans. We can add or remove days and look at different places to stay.